This article will guide you on how to replace a hard disk on an NMH device. For a list of compatible hard disks and other hardware, refer here. NOTE: The replacement hard disk must be blank, unformatted and with no partitions; otherwise, the Media Hub will not be able to use it. When adding a second hard disk, it must also be wiped of any formatting or partitions just like when you replace the stock hard disk. 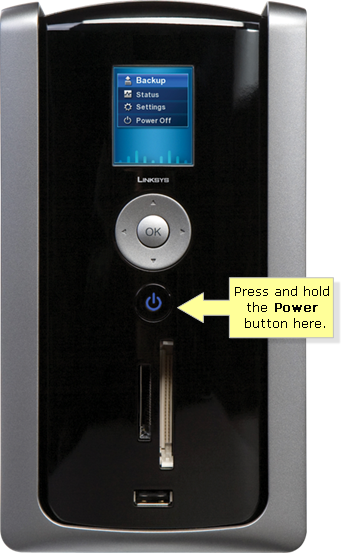 Shut down the Media Hub by pressing and holding the Power button until the power LED starts flashing. Disconnect the power adapter from the Power port of the Media Hub. Disconnect the Ethernet network cable from the Ethernet port of the Media Hub. Release the drive bay cover. To do this, push the button on the top panel of the Media Hub. 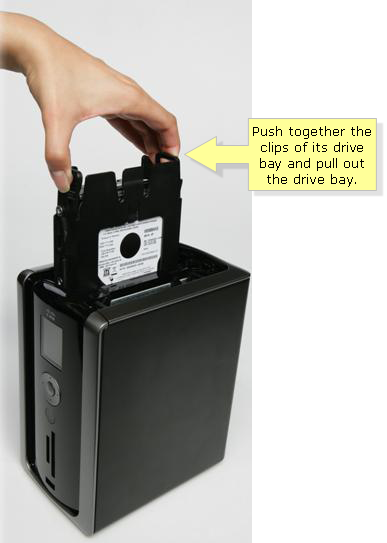 Remove the hard disk you want to replace by pushing together the clips of its drive bay, then pulling it out. Remove the hard disk from its drive bay by unfastening the screws. To install the new hard disk, make sure the screw holes of the hard disk line up with the screw holes of the drive bay. Then insert the hard disk into the drive bay. 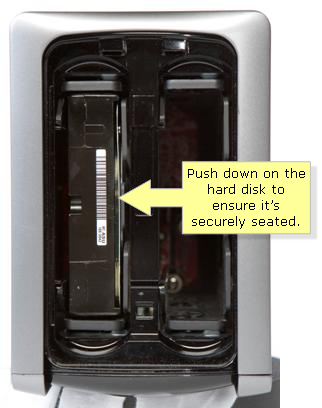 Use the four included screws to secure the hard disk in its bay. 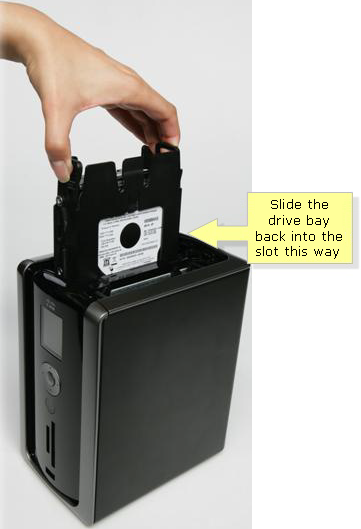 With the hard disk's label facing the right side of the Media Hub, slide the drive bay back into the slot. Push down on the hard disk to make sure the connectors are securely seated. Lower the cover and push down to secure it. Connect the Ethernet network cable to the Ethernet port on the Media Hub. Connect the power adapter to the Power port on the Media Hub. NOTE: For instructions on how to upgrade the firmware of your NMH, click here.